Now that our daughter is learning the colors, I realized (again), how different men and women are. When Mr. Loca tells her: “That is red.” I have to stop myself from stepping in and interrupting. Even though it is clearly burgundy. Or rust. Or brick. But there would be no point. To him, all that is just red. So the question I kept asking myself throughout my skincare in the last weeks was not one that I could discuss with him. I knew I needed to turn to you, dear readers. Do you think that pixi-green will be a thing, just like Tiffany-blue already is? Because when I line up my skincare on the sink, the uniformity of the bottles and the gold writing kind of makes me want to keep them out for display. 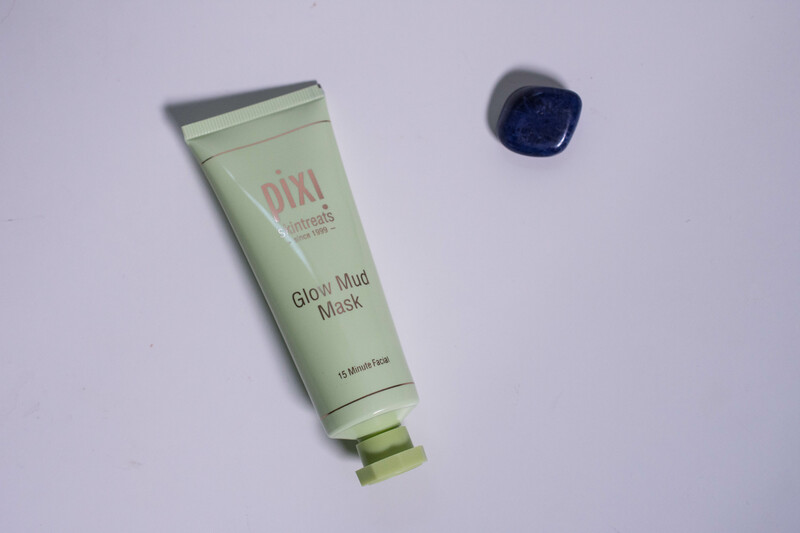 Even if I only use them occasionally, like the pixi Glow Mud Mask (PR-Sample). One tube contains 30 ml and retails for 18 GBP on the website here. I have used this about twice a week for two months (my skin was acting up a lot) and I am almost out of it already. 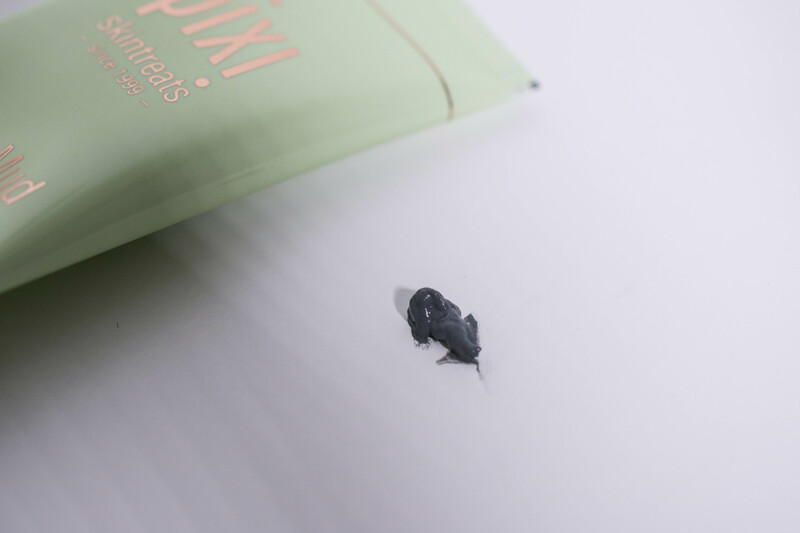 Just like the Glow Mud Cleanser (Review here) is feels thicker as your average mask. I can detect no obvious scent. After spreading it over the areas you want covered, the mask starts to dry. Despite being a clay mask it never reaches the “crumbly” stage some of them get, and never leaves my skin tight after removal. You are supposed to leave it on for 15 minutes, but I have occasionally left it on way longer (solely for review purposes, not because I went down the black You Tube hole) without any adverse side effects. It is a clay mask to draw out impurities that has added antioxidants for anti-aging, added minerals for nourishment and added hydrating substances to prevent stripping. I am not sure if it is the most brightening mask, but it does have some Vitamin C to back that claim up. I have dozens of clay and mud masks, and this, despite being very nice, does not stand out enough to make me want to repurchase immediately. But I can imagine seeing it in store and grabbing it again on a whim. Come on, you do that to! If regular clay or mud masks are too harsh for you, this is one to try. It is soothing and hydrating, so even dry skinned girls could get away using it. So, what do you think: Is pixi-green going to be among Pantones Colors of the Year for bathroom interiors? The item in this post is a PR sample. I was under no obligation to write about it and all opinions expressed are honest and my own. Links may be affiliate links via Skimlinks.